The finished size, on the blocking board, is 4" wide x 60" long. I'm sure it will shrink a bit once I unpin it and the stars will be more pronounced - like the first one I made. 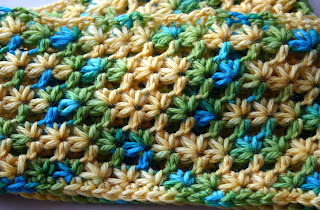 This is an easy pattern once you understand how to do the star stitch. The pattern is posted - free! 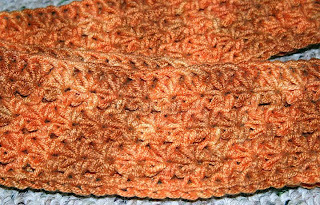 - on Ravelry (click here.) If you make it, I'd love to see your finished scarf.